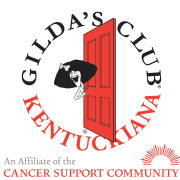 Gilda's Club Louisville provides free networking and support to anyone on a cancer journey and their families and friends. Help out by providing a warm, supportive, and comfortable play environment that fills important psychosocial needs of children touched by cancer. Help them engage in interactive play under supervision. Must be 16 or older and attend a volunteer orientation & Noogieland training. Hours are specific weeknights from 6 - 8 p.m. and some Saturday mornings from 9 a.m. - noon. Most volunteers choose 1 - 2 shifts a month to volunteer.